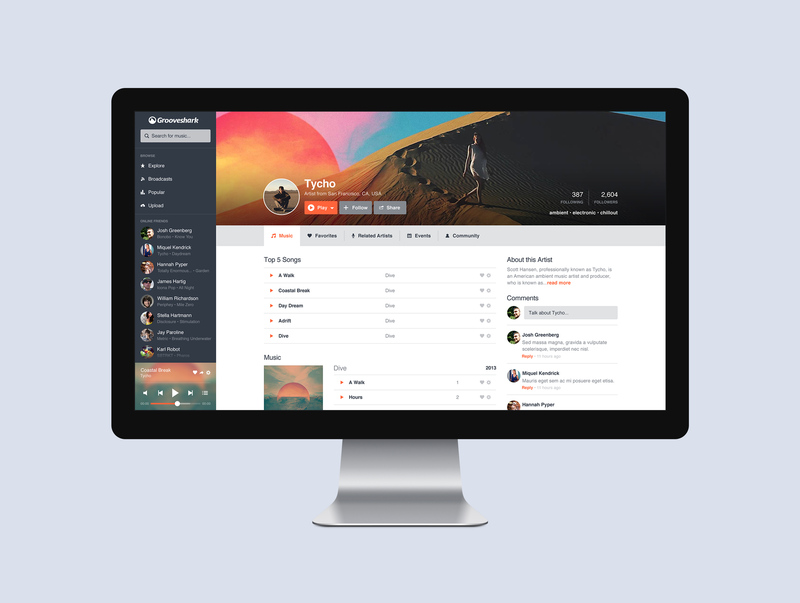 Grooveshark is an ecosystem that brings together music fans, bands, music labels, and brands. With more than 30 million users sharing over 15 million files, Grooveshark is one of the largest on-demand music services on the Internet. I set out to simplify the web UI and then translate the design of the web UI into a redesign of the Grooveshark desktop app. I had to approach the challenge with creativity and simplicity and a clear vision of future product iterations. 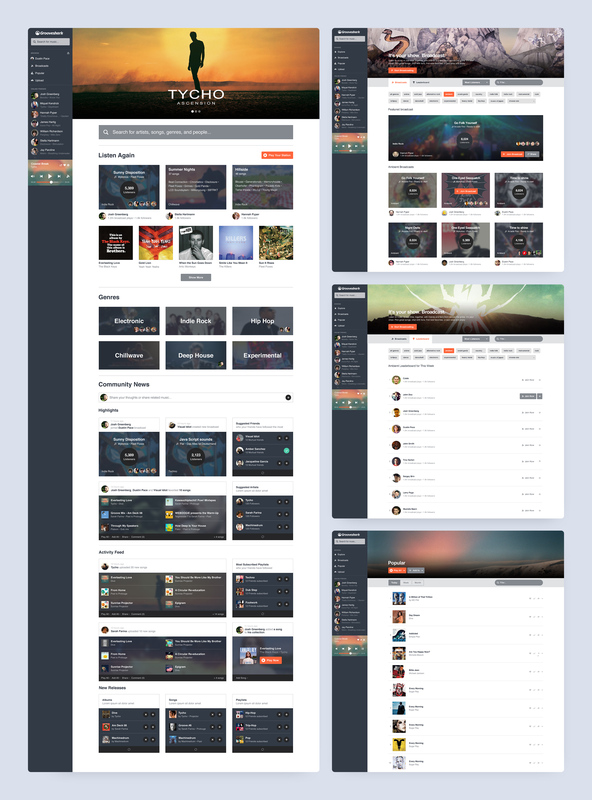 I designed the user interfaces for Grooveshark's mac, web and mobile apps. I opted for an unobtrusive, yet appealing interface with mostly flat and clean design and few standing out controls for main calls to action. 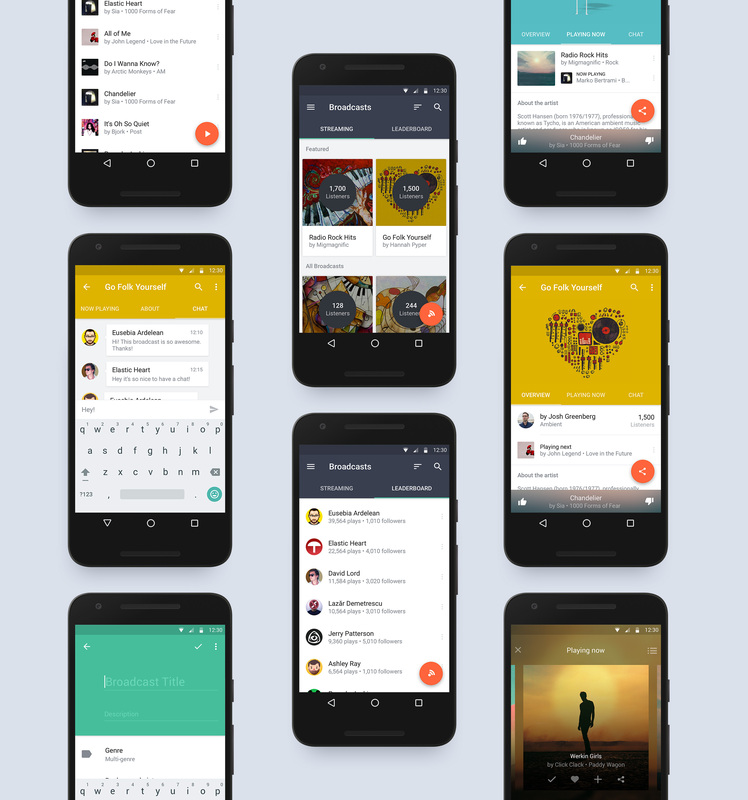 I was busy with UX and aesthetic directions for the new web application when I was asked to switch over to designing Grooveshark Android app. The visual language I had defined for the web transitioned seamlessly to mobile thanks to a device agnostic approach. 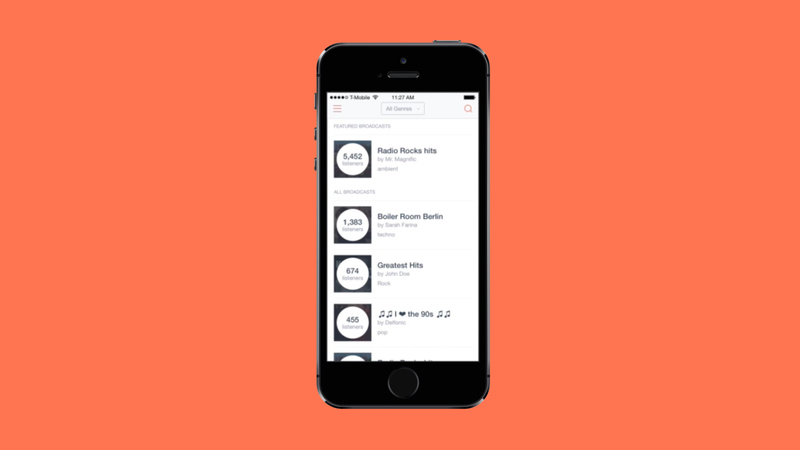 I was also responsible for the standalone app design for Grooveshark’s social radio Broadcasts service. 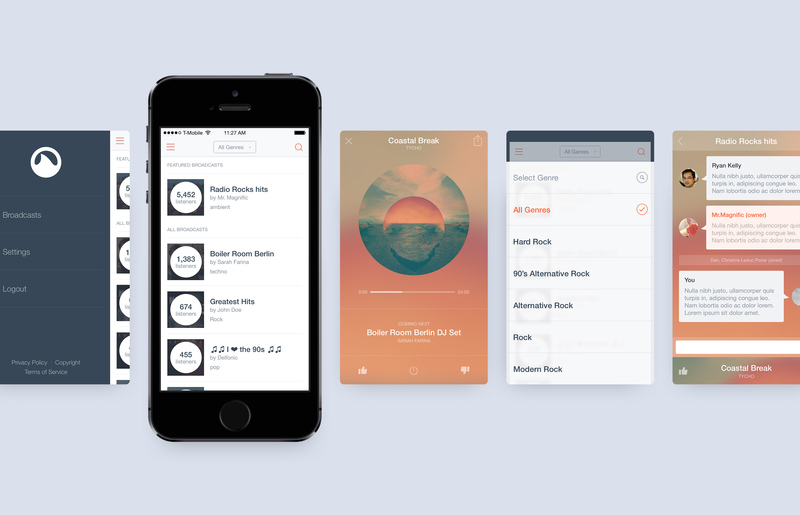 Set to arrive on iOS and Android in January 2015, the app was supposed to combine user-created radio stations with a chat function. 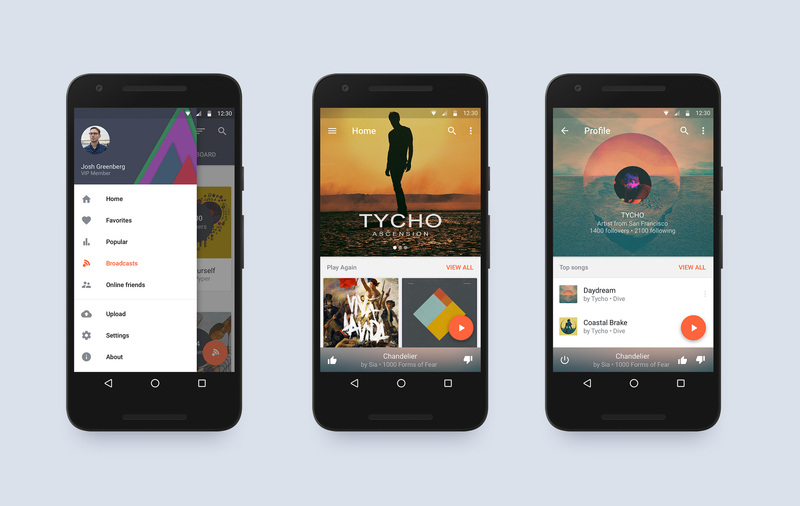 The online radio app was supposed to allow users to browse through user-created radio stations rather than having songs automatically picked for them, i.e. Pandora and others.